We can use your help. Giving, yes. But it’s not about charity. IESC’s work empowers individuals to realize their dreams, whether it’s launching a new business or growing an existing one and providing others with opportunities for meaningful work. IESC helps people all around the world to live lives of dignity. People like Shelly (pictured, right) in Monrovia, Liberia. 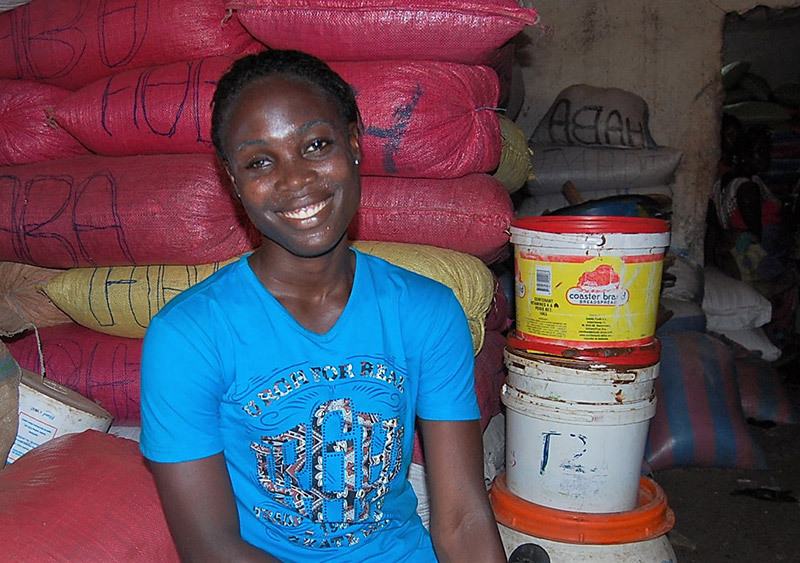 At the age of 23, she lost her husband, her two children, and her business to Ebola. Thanks to people like you, Shelly is growing a profitable business, has a bank account, and is able to care for her mother and other family members. Your gift will help us to expand economic opportunity worldwide, one person, one community at a time. We are committed to transparency and take all reports of fraud, unethical conduct, and compliance violations seriously. Get more information.